Swire Coca-Cola, USA — which runs a large chunk of its Oregon operations in Wilsonville — recently bought a lease on a building at 29900 S.W. Kinsman Road and began housing its sales operations at the property in October. 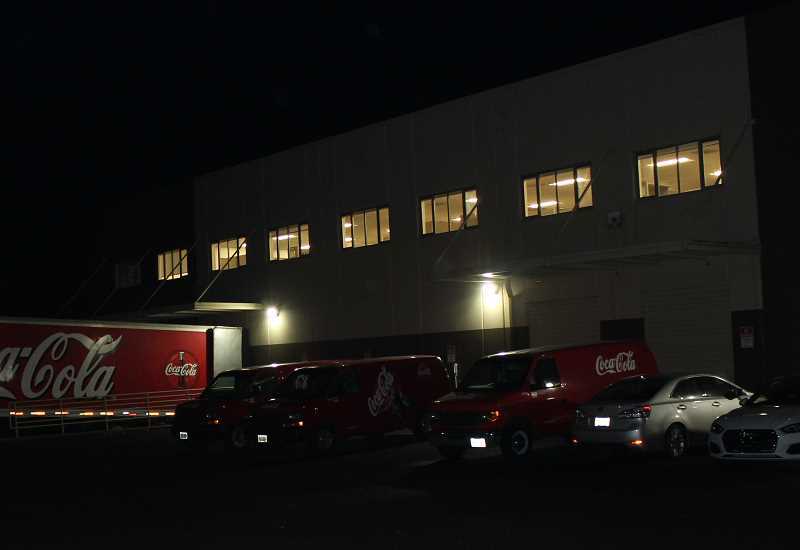 Swire Pacific, a conglomerate based in London, bought the Coca-Cola bottling franchise in 2017 and operated its Oregon sales business out of a building in Tigard thereafter. Already owning a production and distribution center in Wilsonville, which is located adjacent to the new sales building, it decided to move the sales team to Wilsonville. Swire Coca-Cola, USA Oregon Division Vice President Jeff Deitrick said the move will allow for better communication between sales, production and distribution teams. "Anytime you can get your teams close in proximity it's always a good thing," Deitrick said. According to Deitrick, the company originally expressed interest in purchasing the property outright but was rebuffed by owner Chad Ward. So it reached a long-term leasing agreement instead. The Lazerquick printing company operated in the building before Swire Coca-Cola, USA. DJ Vogt, the director of public relations and government affairs for Swire Coca-Cola, USA, said the business has added over 70 jobs in Wilsonville since 2016 and is looking to add about 20 more jobs in the coming years. The staff increase will occur on the production and distribution side. "Our industry is growing. The need for distribution drivers and warehouse workers is high," Vogt said. "We have openings we're trying to fill to fulfil the needs of the business and getting our customers served the way they should be." 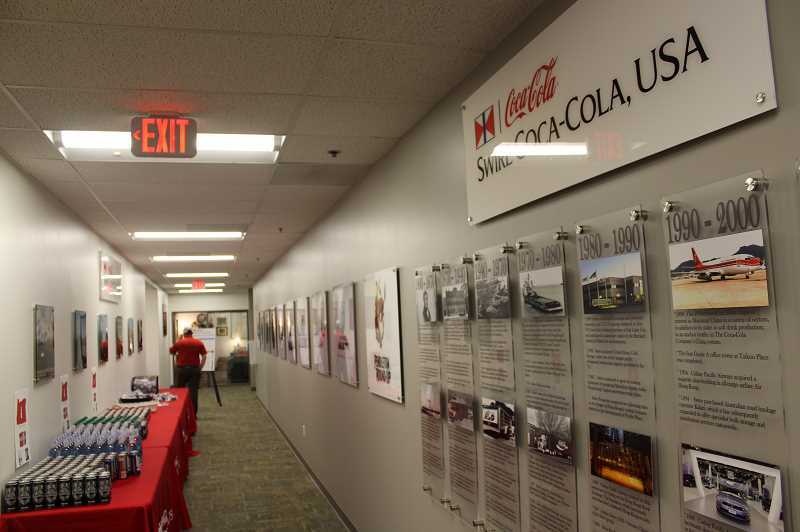 Swire Coca-Cola, USA hosted a Wilsonville Chamber of Commerce gathering Wednesday, Nov. 14 and Deitrick expects the company to hold more community meetings at the new sales space. "We view this building in some ways as a community meeting place as well. I think things like this are really important to us," Deitrick said. Though Swire Coca-Cola is a multi-billion dollar business and sells 3,900 products worldwide, Vogt wants people to think of it as a local business. "This is part of our story of localizing our operation. Our company is not headquartered in Atlanta, Georgia (Swire Coca Cola's, national headquarters is in Utah). We run business in Oregon," Vogt said. "We employ Oregonians and we invest here and other areas of the state and we want to let everyone know that."